Working with negative keywords is one of those areas of AdWords that can make you or break you. I’ve been an avid fan of negative keywords even since I wrote my first AdWords book in 2010, where I proclaimed that you should spend as much time researching negative keywords as you do researching regular keywords. Today, four years later, I still optimize by this mantra. Since 2010, I’ve worked on hundreds of AdWords accounts, and I have developed negative keyword strategies that can more than double the impact of your existing negative keyword list. 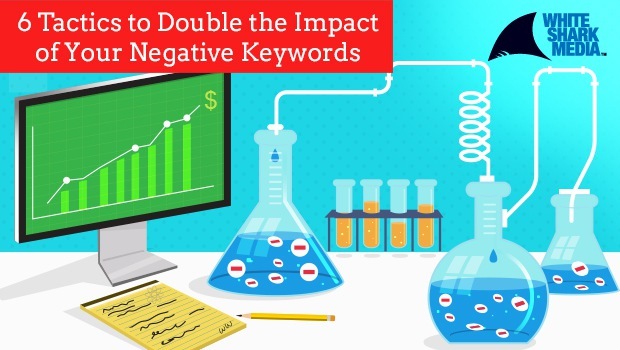 The difference between how big of an impact your negative keywords have on your campaign performance is directly linked with how much you focus on the details. Being attentive to details will allow you to see negative keyword opportunities where you didn’t see them before. Follow these six tips and you’ll start seeing how professional AdWords consultants manage to build effective negative keyword lists. It’s very rare that I add negative keywords in the standard format: Exact Match. If there is a search query that I don’t want my ads to show for, I’m usually better off just adding the broad match version of the negative keyword. When you add a negative keyword in exact match, you only exclude that specific query from triggering an ad. It is very rare that you should only exclude one instance of a search query. You’re seeing that you’re getting clicks from the search query luxury children furniture. However, your furniture is far from luxury and you have enough data to conclude that you’re wasting your money. When you choose to use exact match, you leave your campaign open to be shown for a lot of similar searches. Chances are that if you chose to exclude luxury children furniture in the first place, you should also exclude all the other variations. The only time I use exact match for negative keywords is when it’s short (1-2 words), or if it’s closely related to search queries that I want to appear for. When you have identified a search query you don’t want your ads to show for, you haven’t just identified a search query – you’ve identified an audience you want to avoid seeing your ads. Therefore, you need to think beyond the negative keyword you just added, and think of other words the same audience would want to use. Keeping with our luxury children furniture example, we wanted to exclude luxury because our inventory doesn’t fit the luxury description. Excluding our ads from being shown for these searches will increase the impact of our initial discovery of the word luxury not performing well for us. Just make sure that you don’t assume too much. Especially around words like expensive, cheap etc., as what’s defined as cheap for you isn’t cheap for everyone. We are all from different backgrounds and pricing is very much defined by our background and current resources. To take full advantage of the negative keywords that we’re adding to our campaigns, we need to think of the smallest common denominator that exists between them. This small tip can save you countless hours in the long run and truly ramp up the impact of your negative keyword lists. In this specific case of our luxury children furniture example, our entire inventory is cheap, low-end furniture. It’s of good quality, but nothing in our inventory can be defined as luxury or high-end. Instead of only adding the negative keyword luxury children furniture, it’s much more effective to add the negative keyword luxury in broad match. This will exclude your ads from showing whenever the word luxury is present in the search query. Seeing that it’s not only when users are searching for “children furniture” that they use the word luxury, you can save yourself from a lot of wasted ad spend by taking this rather simple approach. I like to find all the search queries I want to exclude in the Search Terms report and download them to Excel where I will start processing them. It’s rare that I add whole search queries as negatives in the beginning of a new campaign. One of the hardest things about working with negative keywords is that you don’t really know what search queries you’re receiving impressions for, but not getting clicks from. 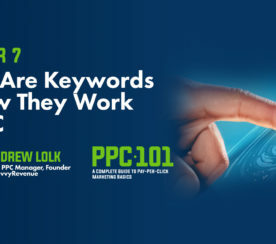 You have to guess what people will search for in conjunction with the keywords that you have in your AdWords campaigns. A great way to combat this is to play detective and sniff out the real negative keywords you need to add by looking at the signs in your Search Terms report. About a year ago, I ran campaigns for a major retailer in Europe who sold home décor products. Within home décor you have hundreds of brands that sell the exact same products, but with each brand’s individual style. 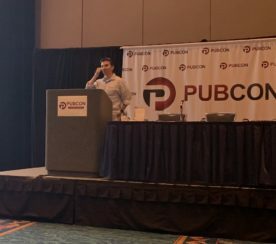 When we ran product category keywords like pans, pots, bath-towels etc., we saw that our ads appeared for searches that included brands we didn’t have in our inventory. People were searching for bath towels from a brand we didn’t offer. They would occasionally click on our ads because we promised a big selection with low-price guarantee. Many would just check if the brand they had searched for was on our site and leave when they didn’t find it. Seeing that there are hundreds of brands within the home décor industry, we connected the dots and went on a brand research mission. We found all brand and models we didn’t carry and added them as negative keywords. Immediately after we did this exercise, our CTR increased and the profitability of the account was improved. One of the quickest ways to gain an account-wide impact from your negative keywords is to add them directly to your keyword lists in your Shared Library. I often see negative keywords that could apply for an entire account are only added to a single ad group. 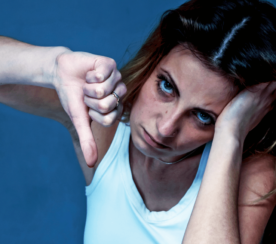 Choosing to add a negative keyword to your negative keyword list instead of an individual ad group is literally as easy as changing a checkmark. Doing so will save you a lot of time from clearing out the same negative keyword in other ad groups/campaigns in the long run. Always think if the negative keyword you’ve found can be applied to other areas of your account. Last but not least, there are several good PPC managers who have disclosed their general negative keyword lists. All PPC agencies have negative keyword lists they apply to all their client accounts when they are onboarded. If you search on Google for Negative Keyword Lists, you will find a lot of very good lists that anyone can use. Just make sure you take the time needed to review the lists. Seeing that these are generic lists, they might include a couple of words you don’t want to exclude. All the tips listed in this article depend on your willingness to spend more time in the initial stages, so you don’t have to do double or triple the work down the line. If you are used to working with negative keywords in a certain way, using the tactics I mention will cause you to spend three or four times as much time adding negative keywords as you are spending right now. The upside is that you will reach the point where you stop adding as many negative keywords to your campaigns faster. Your campaign performance will be better and faster. For me, it’s a no-brainer to spend more time up front in order to produce better performance and save time in the long run. I hope it is for you as well. Image #1: Screenshot taken 05/13/2014.